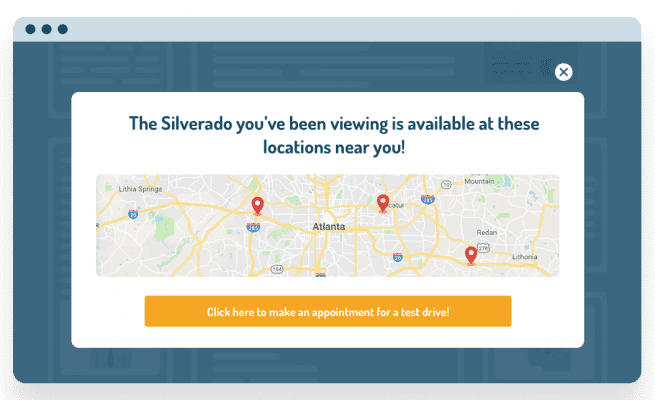 A few popular examples of how to re-capture visitor attention by leveraging Personzye’s pinpoint targeting and AI-driven recommendations to show the perfect relevant message when they are about to exit the site. This example demonstrates Personyze’s ability to show the nearest shop based on real-time visitor location. From apparel sites to a car dealerships, showing the visitor the nearest shop or display room based on his location is a great way to increase foot traffic into your stores. The example demonstrates Personyze’s ability to show the most relevant products based on real-time visitor interest. 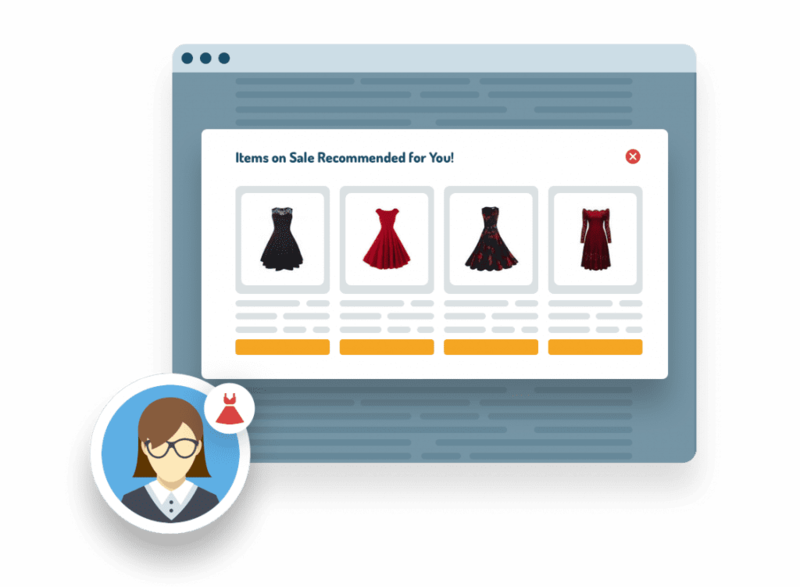 E-commerce sites can show items on sale based on visitor interest combined with machine learning to show the products they are most likely to buy, based on other visitors with similar characteristics. 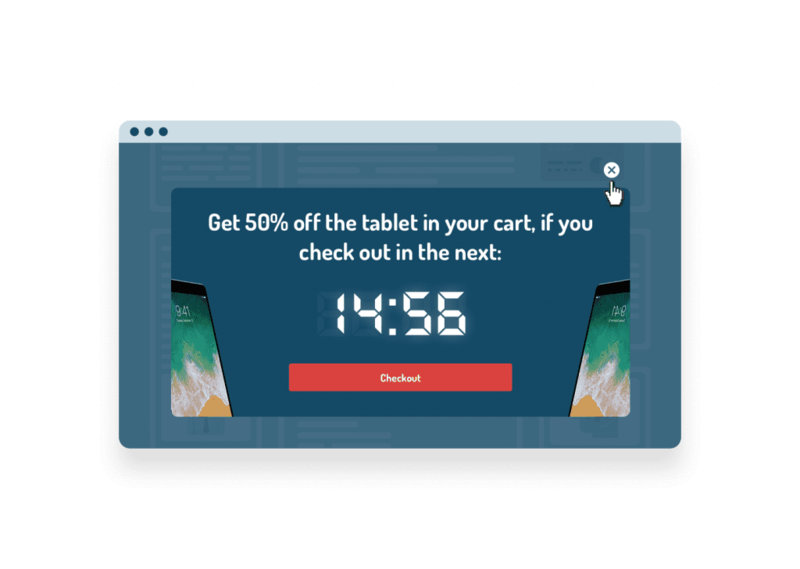 Personyze’s countdown timer that can be based on a prefixed time or cookie-based that starts the counts down from the moment a visitor saw the exit popup. You can dynamically include the last product the visitor added to the cart or viewed or the most popular from last category, etc. Personyze’s dynamic user variables allow you to print any data Personzye has on the visitor into your creative to enhance relevancy. For example, you can insert the keyword the visitor used to find your site, his name, his city, day of the week, etc. into the popup title and call to action. 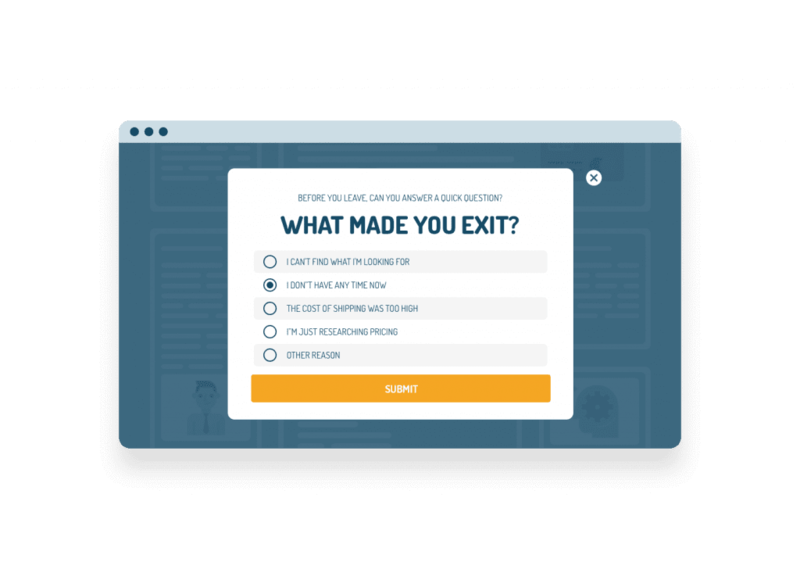 Personyze’s exit popups can include a set of calls to action and relevant creative that are adaptive in real time based on an artificial intelligence algorithm to determine the visitor interest, the result is highly tailored exit popup form triggered on visitor exit intent that increases subscription rate. Connecting your data feed allows you to include real-time inventory data in your exit popup to create a sense of urgency and encourage the visitor to complete the transaction now. Personyze’s ABM suite contains visitors’ company and industry data. 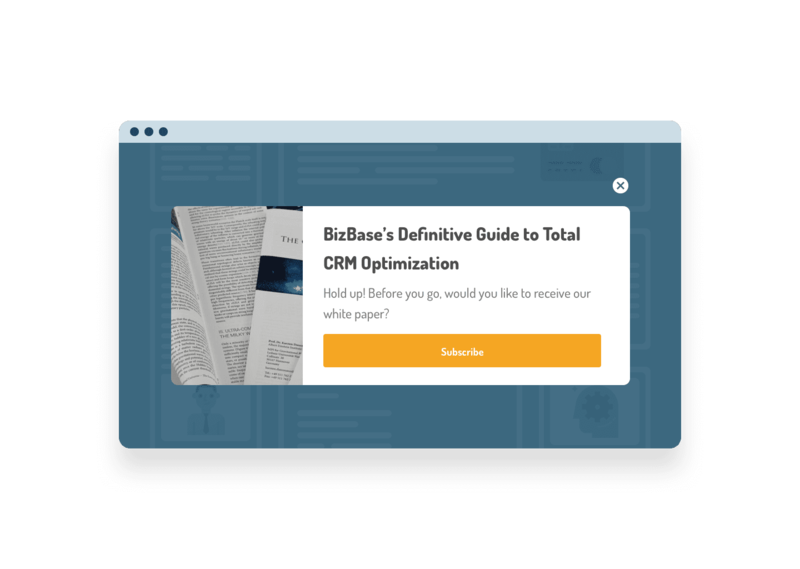 Trigger the right call to action on your exit popup based on which company the visitor works for, and you may also use Personzye CRM integration to show highly targeted messages based on their role in company and subscription type, etc. Trigger an exit popup for a visitor who added prouct to cart or completed an order, but didn’t buy or added to cart the must-have up-sell accessories. 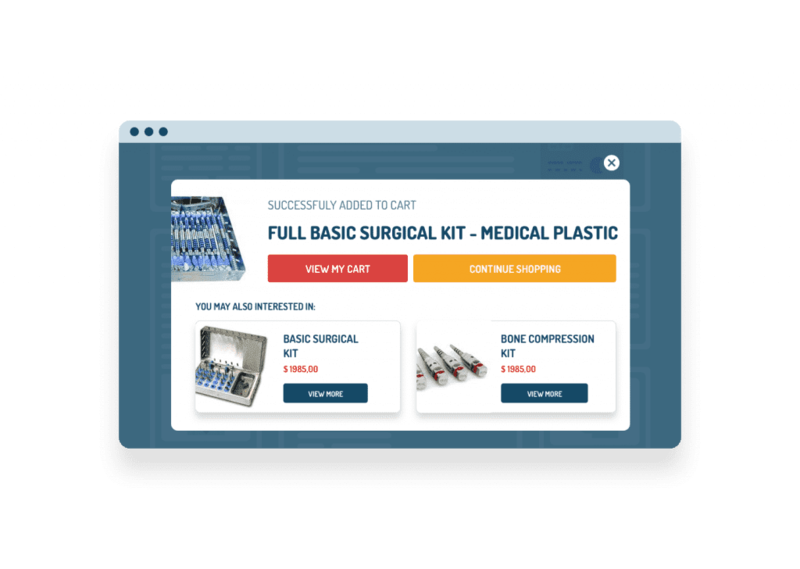 Based on the product the visitor just bought you can trigger exit popups with the most bought together products. Personyze’s targeting engine allows you to trigger a visitor who arrived from a PPC campaign and is about to bounce back before entering your funnel. 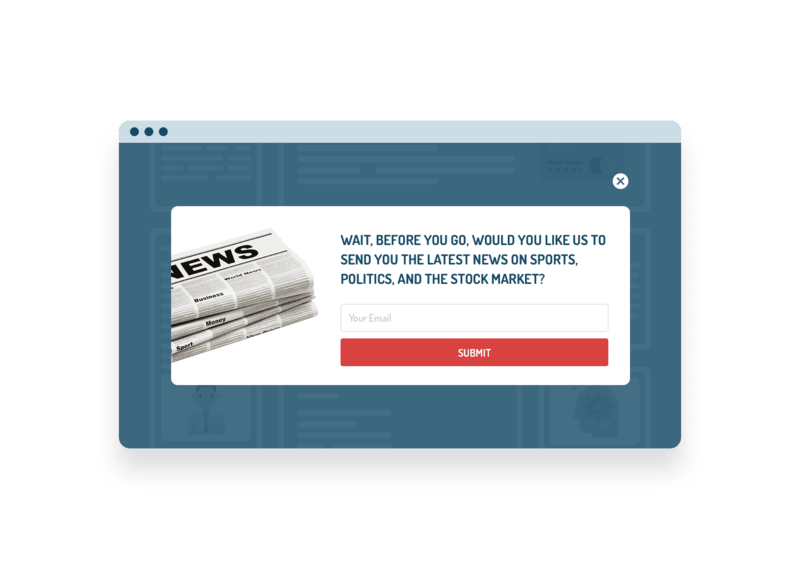 With an exit intent popup combined with Personyze forms, you can run a quick survey to find out if the ads or page content is not clear, or the price is too high, etc. 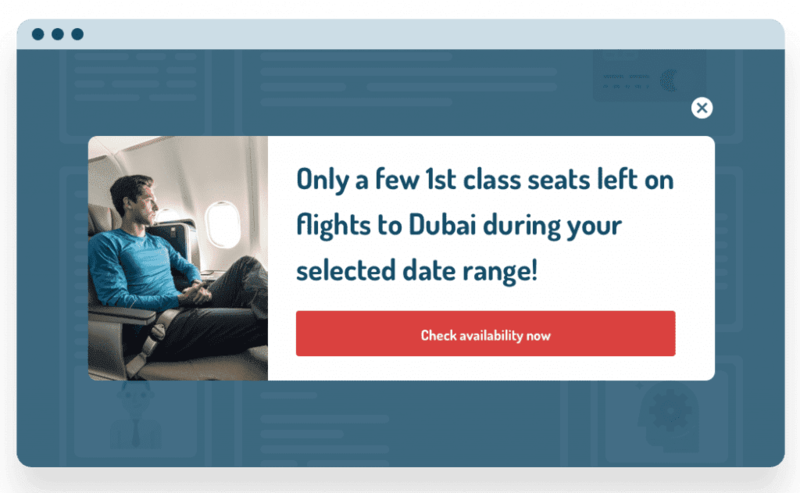 Personzye targeting allows you to show different popup offerings based on the visitors’ unique characteristics. 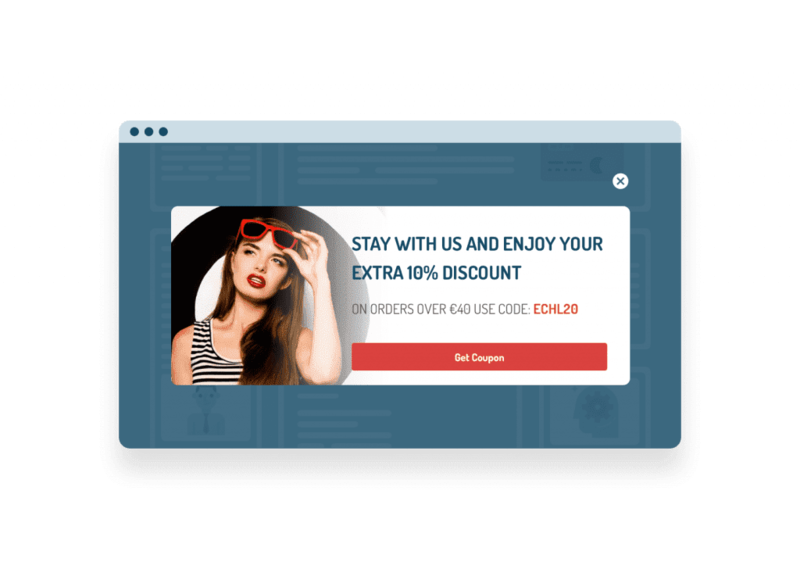 Trigger exit popups with the right coupon, for example, offer first-time visitors a 5% discount if cart value is less than $5, or give a 10% discount for those who have a cart value greater than X.
Personzye targeting allows you to show different popup offerings based on the visitor’s unique characteristics. 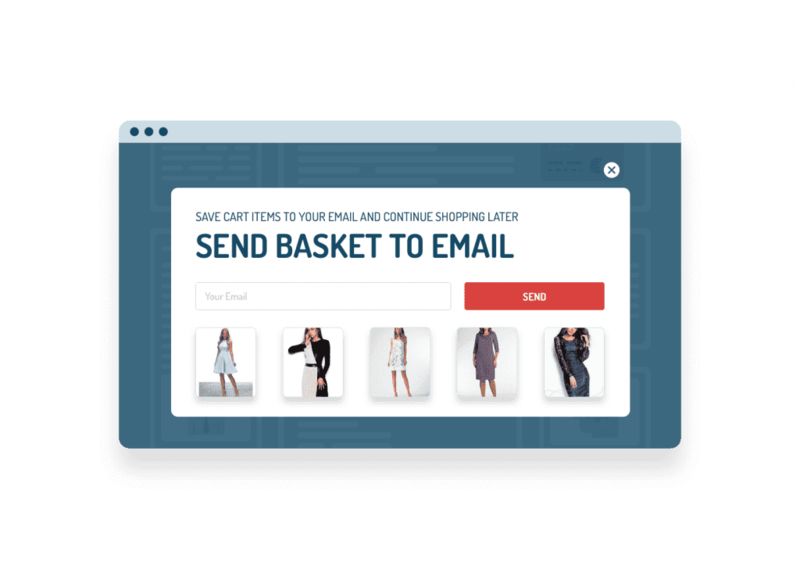 For example, trigger exit popups when the visitor has products in cart and offer to save the items and send them to his email. Works on any site, regardless of platform. Easy copy/paste installation in 5 minutes or less. No effect on site speed, secure and scalable servers. Step-by-step guides, real-time chat assistance. 24/7 support and optional white glove service. Some of the key Personyze features for exit intent popups and marketing automation. 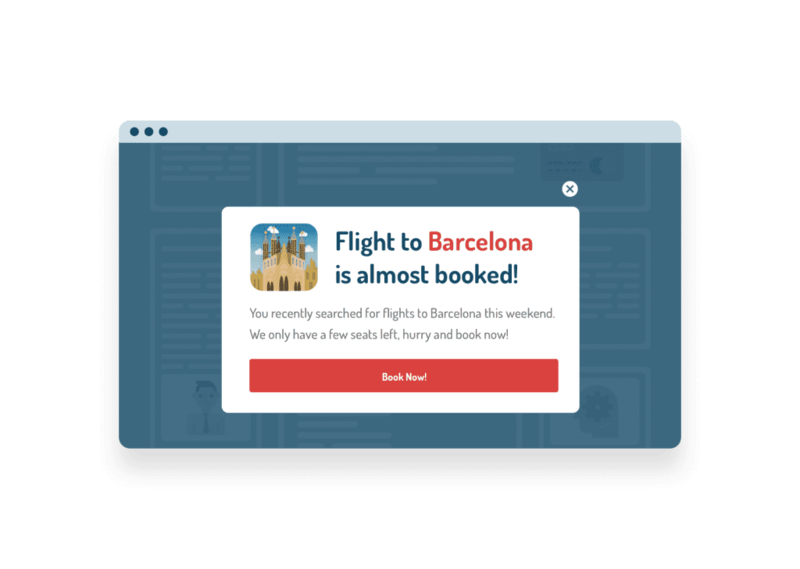 With an algorithm for every scenario, Personyze allows you to show recommendations on every page, such as relevant products, trips, services, packages, and content, as well as in re-marketing emails. Recommend based on crowd data like popularity plus visitor interest, with additional filters. Create campaigns combining a sequence of onsite targeted messages which change based on campaign interactions, followed by an email drip campaign for those who showed interest. Use real-time alerts and get notified when a VIP customer engages your campaign so you can jump on the opportunity. Personyze allows you to change or add elements to your site with very little limitation, including targeted banners, calls to action, and visual edits based on 70+ targeting rules, such as Page Views, Cart Value, and CRM data variables. Utilize our built-in A/B testing for your exit popups. Test any campaign action, with various rotation settings, control group options, and auto-deactivation settings. Get a detailed view of which products were bought and by whom, or which products are most often left in cart. Keep track of email performance, and take a closer look at each detail with multi-dimensional analytics included out-of-the-box, and optional daily/weekly reporting.